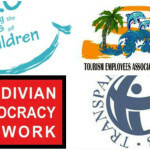 “Corruption continues to undermine development by promoting wastage, has eroded public confidence in key institutions and victimise vulnerable communities in Maldivian society,” Transparency Maldives has said. In a statement released yesterday on the occasion of the International Anti-Corruption Day, the local chapter of Transparency International said corruption is the biggest problem facing the Maldives. 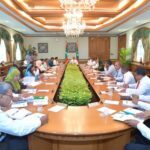 TM noted that the results of its 2015 Maldives Democracy Survey showed that 72 percent of the public believes that corruption has increased in the past year. 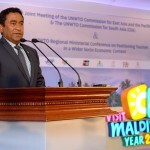 “Corruption continues to undermine development by promoting wastage, has eroded public confidence in key institutions and victimise vulnerable communities in Maldivian society,” TM said. The statement comes at a time the Maldives’ former Vice President Ahmed Adeeb is facing prosecution for corruption, on a charge of embezzling state funds from resort leases. Adeeb is also accused of bribing the police force, and the police chief and his deputies were sacked last month for allowing undue influence over its officers. 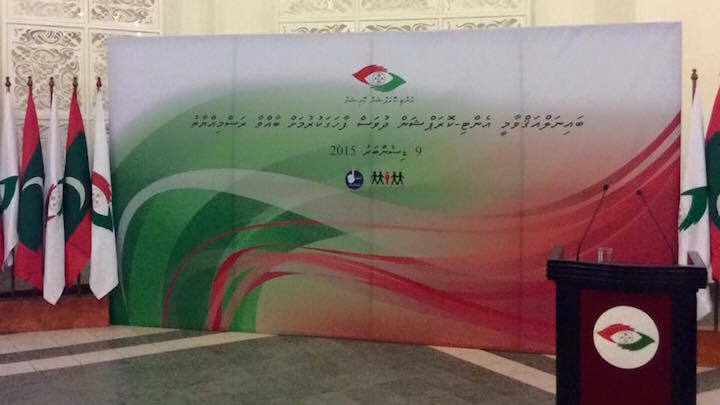 The Anti-Corruption Commission meanwhile held a ceremony yesterday to mark the Anti-Corruption Day. Speaking at the ceremony, ACC member Aminath Minna revealed that less than 10 percent of cases investigated by the commission are forwarded for prosecution. She noted with concern that the Prosecutor General’s office rejects many cases, but expressed hope that the ACC would have a better working relationship with new PG Aishath Bisham, who also attended yesterday’s ceremony. Some 38 cases were sent for prosecution in 2014, Minna said, but did not say how many cases were filed at court. Investigating and proving corruption cases at court is not easy in any country, she said. In the first half of 2015, the ACC forwarded 20 cases for prosecution, including 10 cases of officials abusing authority for undue gain of a third party, five cases of personal gain, three cases of recompense for government loss, one case of kickbacks from government projects, and one case of misrepresentation. Minna meanwhile went on to criticise the parliament over delays in amending the anti-corruption legislation despite repeated requests. The ACC currently relies on an outdated law passed in 2000. The enforcement of the new penal code has cast doubt on the validity of some provisions of the anti-corruption law, she said, and a stronger legal framework is needed to effectively combat corruption. The ACC also inaugurated a ‘National Integrity Pledge’ to be signed by all government employees. The pledge vows to serve the public in an impartial and transparent manner. Minna also said that the commission receives complaints alleging corruption in state institutions on a daily basis, and stressed the need for raising awareness among employees about actions that constitute corruption. According to the ACC, the commission has made a total of 339 recommendations to state institutions regarding potentially corrupt practices in the first six months of this year. In its statement, TM also made four recommendations for the government to tackle corruption, including the enforcement of an asset declaration regime to compel high-ranking officials in the executive, legislature, and judiciary to disclose annual financial statements. 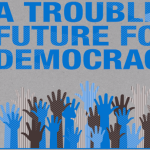 “In a healthy democracy these groups hold the state in check. In addition, citizens need to enjoy basic civil and political liberties to hold those that govern them accountable,” TM said. TM also recommended measures to restore public confidence in the judiciary and parliament, noting that the latter is perceived as the most corrupt institution in the country with widespread allegations of vote buying and illicit enrichment. “Furthermore, there is limited public consultation in the law making process with the parliament increasingly becoming a vehicle to fast-track questionable laws and removal of public officials without due process,” TM said. 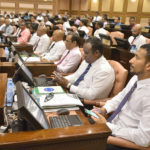 Meanwhile, the main opposition Maldivian Democratic Party on Tuesday asked the ACC to investigate three cases of alleged government corruption: the leasing of state-owned apartments to President Abdulla Yameen’s son, a ruling party MP distributing cash on behalf of the state to Addu City flood victims, and cash handouts made by the first couple to single parents. After falling 57 places in Transparency International’s Corruption Perception Index (CPI) between 2008 and 2011, the Maldives has been omitted from the index for the past three years due to lack of data from three expert sources. The Maldives appeared in the CPI for the first time in 2007. A ranking of 134th in 2011 prompted TM to describe the country’s “grand scale” corruption as “systemic”. A survey conducted by ACC in early 2014 meanwhile showed that a majority of Maldivian civil servants were reluctant to report acts of corruption due to delays in or lack of justice and lack of action by relevant authorities. 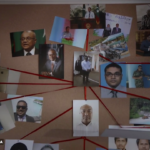 The rot at the top: Will President Yameen answer for corruption?